This article is a “38 North” exclusive in cooperation with DigitalGlobe’s Analysis Center and with contributions by Robert Kelley and Mehdi Sarram. This is the first of a new satellite imagery analysis feature, focusing on areas of security and economic interest. A year after disclosing the project, North Korea recently announced “the day is near at hand” when it will begin operating its new light water reactor “based on domestic resources and technology.” Given past usage of this formulation by Pyongyang, the North’s statement probably means the beginning of operations may still be several years away. 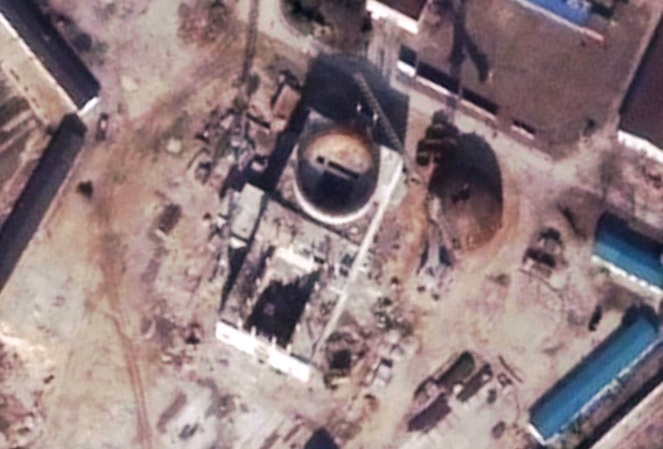 38 North’s analysis of commercial satellite photography confirms that significant progress has been made in building the reactor over the past year. Depending on how quickly the North Koreans can load heavy components into the reactor building, the plant may be externally complete in 6-12 months. However, operations are still unlikely to begin for another 2-3 years. Pyongyang still needs to complete construction, finish loading machinery and equipment, install electronics in the control room and produce fuel assemblies for the reactor. The rapid construction of the plant may be an important indication of Pyongyang’s intention to move forward as quickly as possible with its uranium enrichment effort—to produce fuel for the reactor and potentially fissile material for nuclear weapons—as well as the level of the North’s commitment to its WMD programs in general. Whether North Korea’s new reactors are designed or will be operated according to internationally accepted safety standards is another serious concern, particularly in view of Pyongyang’s past practices and the recent disaster at Japan’s Fukushima nuclear power plant. 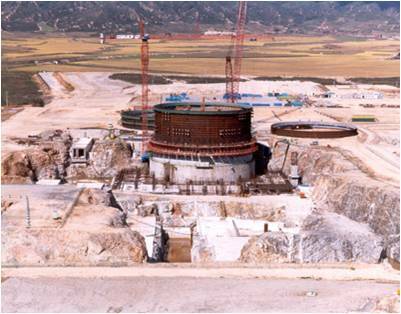 The construction of a new experimental light water reactor (ELWR) as well as a uranium enrichment facility at the Yongbyon nuclear facility was first revealed to a visiting American delegation in November 2010. Pyongyang has been interested in acquiring light water reactors (LWRs) since the mid-1980s. As part of the landmark 1994 US-DPRK Agreed Framework, the North was to have been provided with two modern LWRs in return for dismantling its existing plutonium production program (one operating graphite-moderated reactor, two others under construction and a reprocessing facility) and shipping out its spent fuel rods. The LWR project, conducted by the multilateral Korean Peninsula Energy Development Organization (KEDO), made significant progress but was cancelled in 2006 in the aftermath of the Agreed Framework’s collapse (figure 1). While the North Koreans have told visiting Americans that former KEDO workers have not been involved in the design of the new reactor, that project may have been a useful learning experience for Pyongyang’s technicians. The new pilot-scale reactor, estimated at 25-30 MWe, is much smaller than the KEDO reactors. Pyongyang’s exact plans for its indigenous program remain unclear although North Korean officials have stated privately that they intend to build additional LWRs with unspecified capabilities. The project is significant for two reasons. First, while the North claims its uranium enrichment program is intended to provide low-enriched fuel for new LWRs, that program will also be able to produce highly enriched uranium for building nuclear weapons. Second, there are serious doubts as to whether the North can operate the new LWR or any additional reactors safely according to international standards. For example, one important lesson from the KEDO experience was that Pyongyang did not have in place the necessary independent regulatory authority to ensure the safe operation of new LWRs. Safety concerns are particularly serious in the aftermath of the recent disaster at Japan’s Fukushima Nuclear Power Plant. 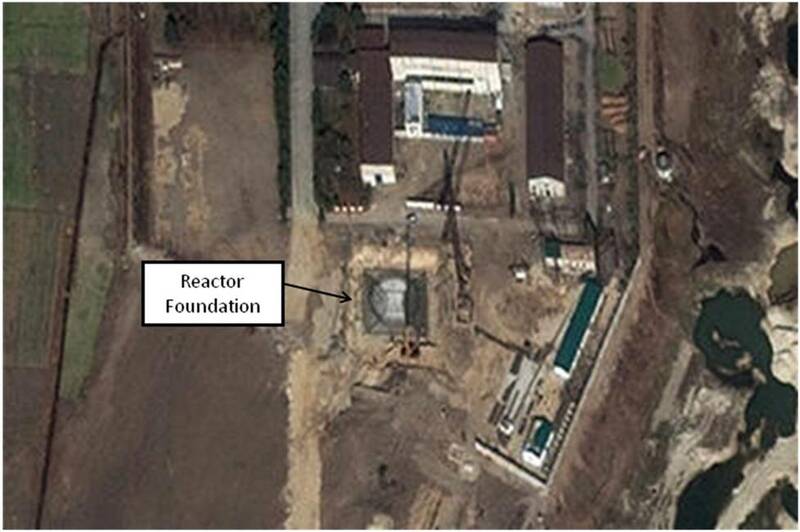 North Korea has made significant progress in building its pilot-scale reactor since November 2010. A satellite image shows only the basic foundations in place as of October 2010 (figure 2). Figure 2. A November 2010 satellite image of the Experimental LWR with only the foundation visible. Image Credit: GeoEye, distributed by e-GEOS. By May 2011, the reactor building is well above ground level, the construction yards are filled with materials—apparently ordinary types of steel and concrete—and equipment is available to keep the project moving (figure 3). There are three large construction cranes for the reactor and turbine buildings and a dedicated corporation yard with a large gantry crane. A key task for the North Koreans will be ensuring a reliable supply of high quality water to cool the reactor core and eventually produce steam for electricity. Construction of cooling towers, normally built in parallel with the other main structures, would be difficult (although not impossible) at this stage of the project without a major redesign of piping systems for intake and discharge systems. The Kuryong River may be able to provide that water but is often ice-choked in winter and largely exposed sandbars in summer. Major engineering work has been conducted in the river to lay pipelines for cooling water and hot water discharge from the reactor. Since the reactor is on the shallow side of the river and the deep stream on the opposite bank, pipelines have been built that cross the seasonally changing sandbars to the deeper portion. These trenches were covered up by September 2011 and may now contain pipes that are part of a sophisticated intake/discharge cooling system. While the creation of a large bay in front of the pump house could provide another source of clean deep water, it may be the temporary result of construction activities (figures 3 and 4). Figure 3. By May 22, 2011, in addition to further construction progress, there are pipe traces to the river for supplying cooling water and hot water discharge. Image Credit: GeoEye, distributed by e-GEOS. Figure 4. By September 2011, the reactor containment and outer buildings are clearly visible. Sections are assembled in the work area to the left and then emplaced with cranes.Image Credit: GeoEye, distributed by e-GEOS. Significant advances between May and September 2011 include construction of the reactor building to a higher level as well as progress on the intake/discharge systems for cooling the reactor and further work on completing the turbine building and other support systems (figure 5). The next phase of construction will require more specialized material and equipment including stainless steel bespoke components for the core, fuel cladding, control rod systems, and unique nuclear instrumentation. The electrical generating portion of the plant will require nuclear grade heat exchangers and a turbo-generator set for producing electricity. The reactor building still appears to be empty with no heavy components present inside or at the site. Figure 5. Only four months later, major progress has been made on the river water pump house and the beginnings of the turbine hall are visible. Image Credit: GeoEye, distributed by e-GEOS. Consistent with its much smaller size than the KEDO reactors, the new ELWR measures only 20 meters in width compared to the KEDO containments that are 40 meters across. The actual ELWR site shows a similar layout in construction site philosophy (figure 6). Figure 6. The abandoned LWR at Kumho is a model construction site for the new ELWR. Image Credit: GeoEye, distributed by e-GEOS. 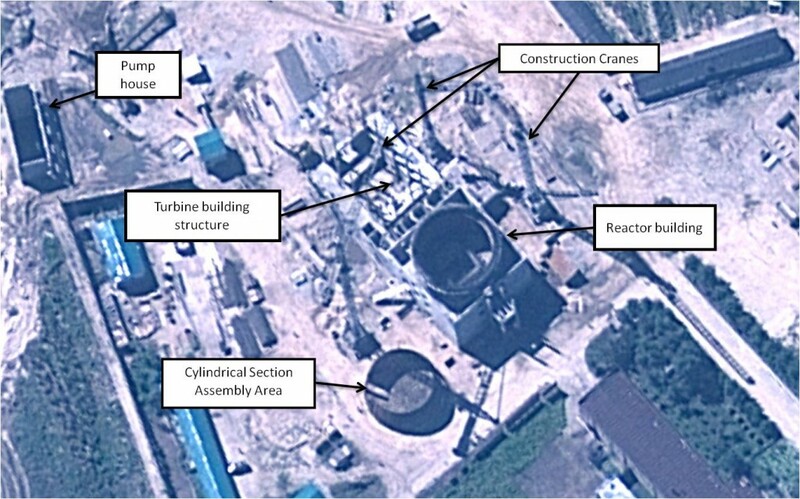 In a recent image dated November 3, 2011 (figure 7), in addition to further progress on the reactor building, the domed roof of the building can be seen in the area where the cylindrical sections had been assembled. This suggests that the building is nearly complete. The DPRK will probably insert the reactor vessel and equipment through the open roof using overhead cranes. Alternatively, it might use an equipment hatch in the sidewalls of the building present in power reactors although such a hatch is not visible in available photographs of the ELWR. Shadows of the reactor and turbo-generator buildings appear to be different heights, with the square building around the reactor containment building higher than the turbine hall. Incomplete steelworks at the end of the structure also strongly suggest this portion is going to be higher when it is finished. This lighter construction activity will go much more quickly than the more massive concrete and steel sections of the reactor itself. Figure 7. 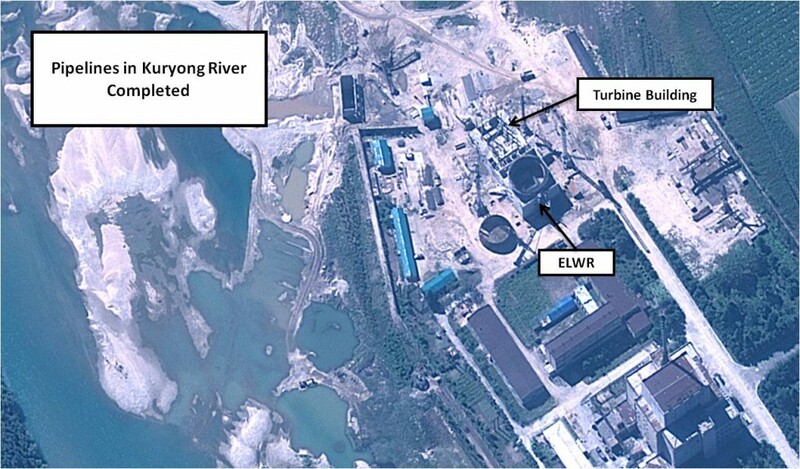 The ELWR at Yongbyon as of November 3, 2011. The domed top of the reactor building is now clearly visible (to the right of the building). Image Credit: DigitalGlobe. 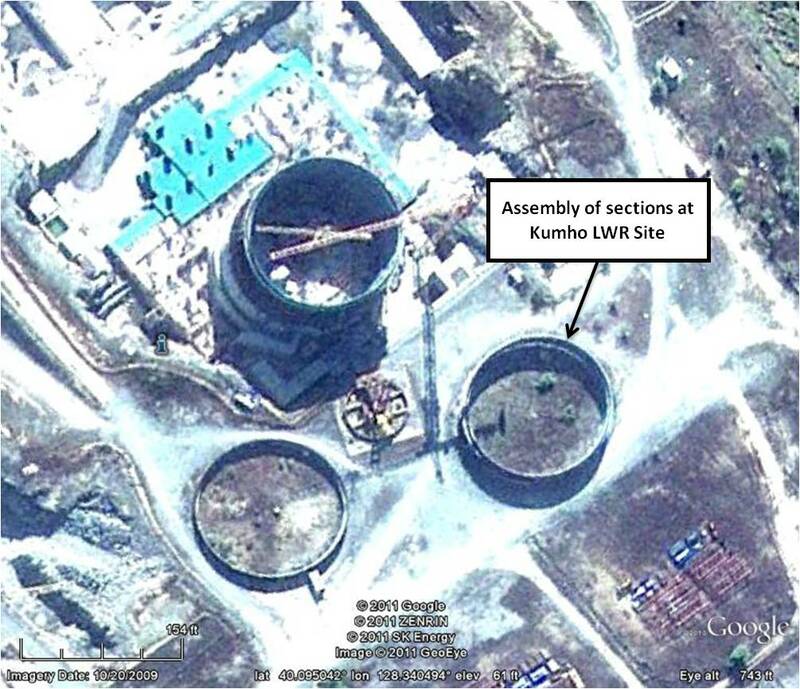 North Korea has made significant progress in the construction of the ELWR over the past year. Nevertheless, the reactor may not be ready for commissioning or low power operations for another 2-3 years. Aside from the time-consuming task of completing construction, finishing loading of machinery and equipment and installing electronics in the control room, manufacturing fuel assemblies—requiring the production of low-enriched uranium as well as fabrication according to very precise specifications and a strict process of quality control—is another potential hurdle since North Korea has no previous experience with manufacturing low-enriched fuel assemblies. Moreover, the status of Pyongyang’s uranium enrichment program remains uncertain. Nevertheless, the North may be moving forward with sufficient speed to provide fuel for the new reactor in a timely manner. Finally, rapid completion of the project may be hampered by the North’s inexperience in building LWRs. Based on progress made as of November 2011, the North would appear to able to complete external construction in 6-12 months, an important achievement given the emphasis Pyongyang has placed on becoming a powerful and prosperous country by 2012. In order to complete that construction, heavy equipment will have to be loaded into the reactor building before it is completed and sealed. That will require the on-time manufacturing of key components, their delivery to the site and a continued crash effort by the North Koreans to complete the work. Siegfried S. Hecker, “A Return Trip to North Korea’s Yongbyon Nuclear Complex,” Center for International Security and Cooperation, Stanford University, November 20, 2010, http://iis-db.stanford.edu/pubs/23035/HeckerYongbyon.pdf. 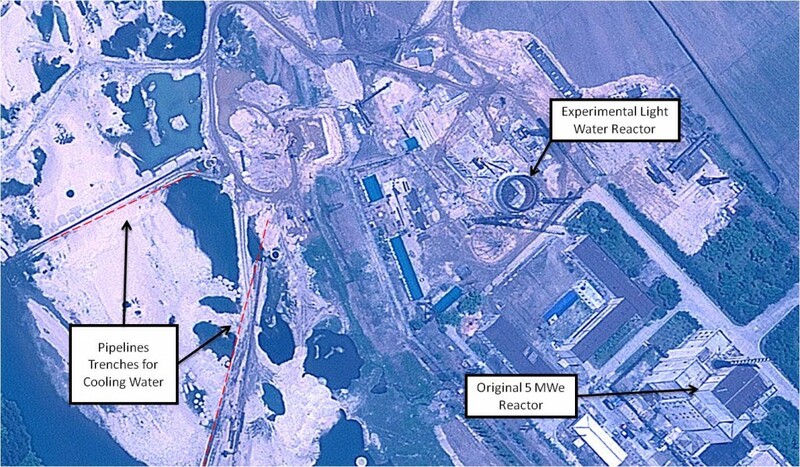 Allison Puccioni and James Hardy, “Scientist confirms activity at North Korean nuclear site,” HIS Jane’s Defense and Security Intelligence and Analysis, November 11, 2010, http://www.janes.com/products/janes/defence-security-report.aspx?ID=1065927903.